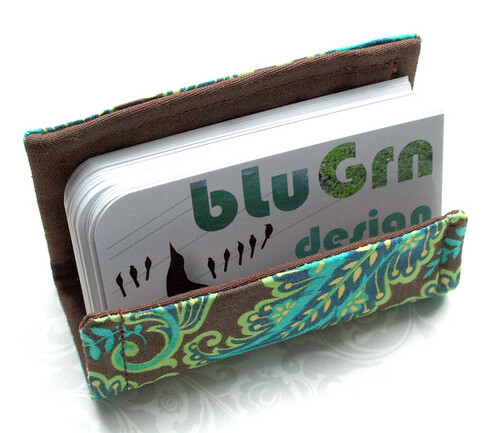 They're made of fabric and ship flat...and the wire that has been sewn inside the edges enables you to fold it (she supplies a little template) into your business card holder. She has a ton of great fabric choices as well... and only $6! SCORE.